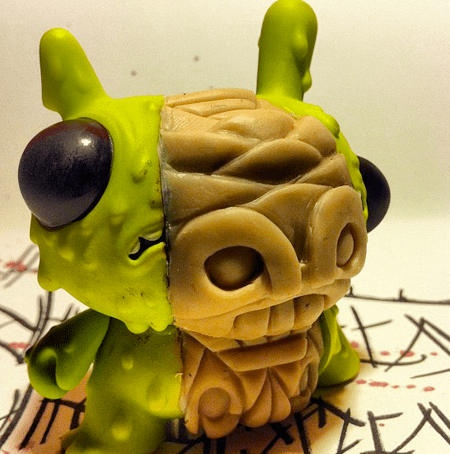 Jay222 just posted his work in progress of a Dunny custom for his friend and fellow artist Chris Ryniak. 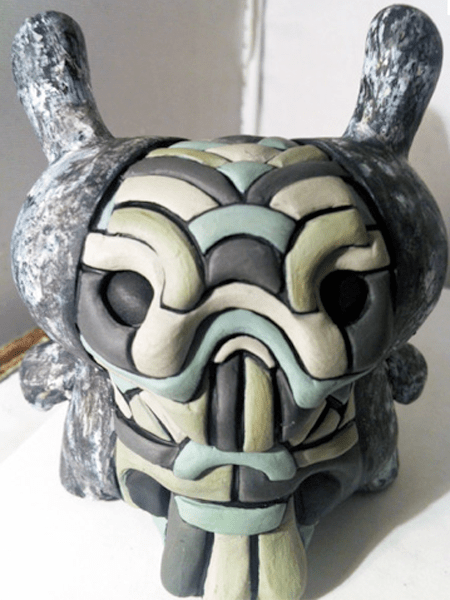 The figure includes Ryniak’s Apocalypse series Dunny and, according to Jay222, it is based off of his figure from Dragatomi, which I am thinking is Shigan the Traveler (see below). Very cool! Have a look at the rest of the Dunny Apocalypse series in our online store.